The Sanislim is a macerator ideal for use with slimline sanitary ware. Can be used with a toilet, shower and wash basin. Sanislim is part of the domestic range from the industry leading manufacturer Saniflo. When the toilet is flushed or outlets drained the Sanislim macerator activates to pump waste horizontally to a remote soil pipe up to 40 metres away. 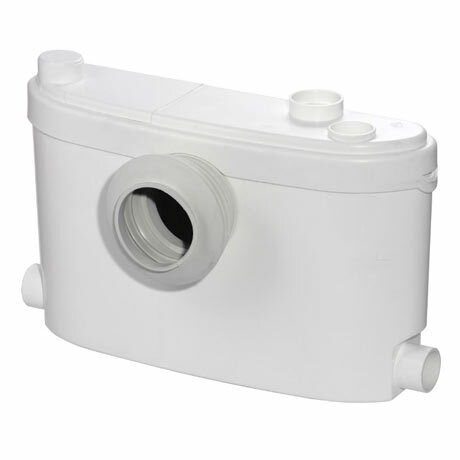 Sanitop can also be configured to pump waste vertically up to 4 metres if required. Please view the Saniflo diagrams to find the recommended device to meet your requirements. very pleased with this item it does exactly what it says, customer service is top class.